On Sunday August 30th, WagonWheel Presents… brings a special bank holiday weekend show to the Stable Yard at Shakespeares. Joining us in the sunshine for an afternoon show of live music will be M&J Blues, Steve Chapman Smith, Big Convoy (acoustic), Luke Whittemore and Andy P. Davison. The show starts at 3pm with a planned finish of 7.30pm. Entry is free! 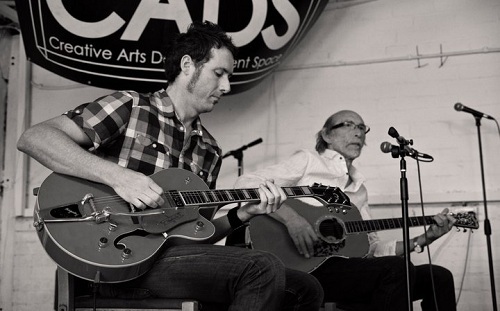 M&J Blues are father and son Mark & Jeff Lyall. 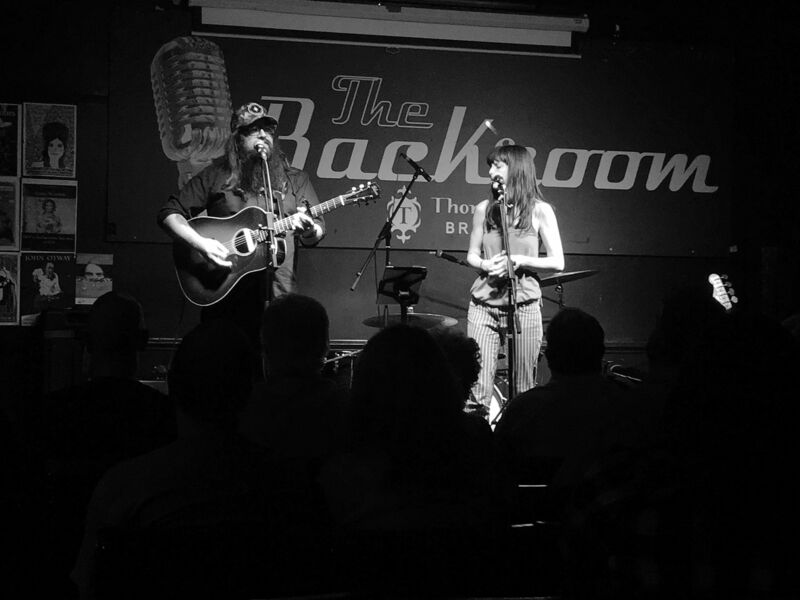 They’re regular performers at many Sheffield venues doing their bluesy country rock ‘n’ roll thing. The ever popular duo head up today’s show at around 6.20pm. 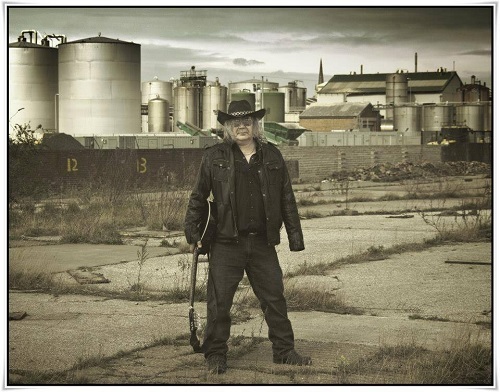 Steve Chapman Smith has had a wide and varied musical career to date. 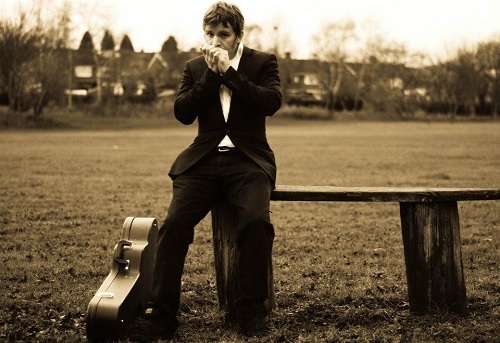 He has played on many recordings from from a wide variety of bands, most recently The Troubadors. He has also had the pleasure of recording 4 sessions for the late great John Peel with Red Lorry Yellow Lorry and Ghostdance. 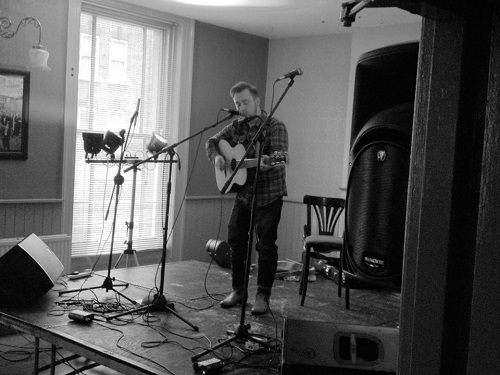 Steve has now launched a solo career showcasing his original material with a few much loved covers along the way. Passionate, uplifting, real songs about real people and real life. No rose tinted glasses here. ‘Big Convoy’ formed in 2011 and is comprised of singer/ songwriters Mat Wale (ex ‘Rackets’ & ‘Arrogant Whale’), John Batchelor (ex ‘Whiskey Cove’), bass guitarist Joe O’Brien (ex ‘Take to the Seas’ and ‘Pocket Satellite’) and drummer Tom Hudson (ex ‘Starlins’). The band has independently released 3 EPs; 2012’s ‘Big Convoy EP’, 2013’s ‘Life Is Easy When You Know How’ and 2014’s ‘The First World Problems Of Big Convoy’ as well as keeping a heavy gig schedule. Since their debut they have become an integral part of Sheffield’s thriving Alt. Country scene. 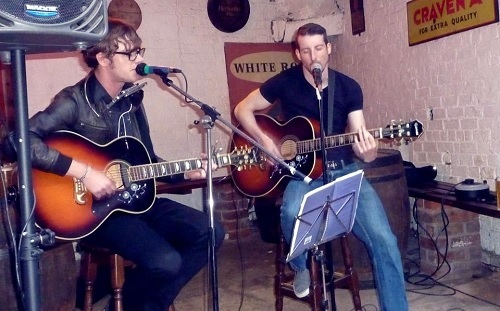 This afternoon Mat & John play an acoustic set. Taking influence from Americana, the deep dark south and cult western movies, Luke Whittemore tells tales of haunted souls, love, loss and of strangers. Sure, you heard this kind of stuff before, but what’s new, like all the best things, it’s the detail, the focus, the point of view and the subtlety.